The starting gun has sounded for nominations to Bayer’s awards programme, the Ophthalmology Honours. The awards programme, now in its third year, is designed to recognise and celebrate the outstanding work being carried out by multi-disciplinary teams in ophthalmology throughout the UK. Supported by RNIB and Visionary, a membership organisation for local sight loss charities, the awards will identify exceptional initiatives that demonstrate clinical excellence and innovation in ophthalmology. This year’s Ophthalmology Honours programme includes a new category: Best ophthalmology service improvement. This category aligns with the recent recommendations within the Royal College of Ophthalmologists’ Three Step Plan, to reduce the risk of patients coming to harm due to ineffective services and delayed appointments. Entries are welcome from anyone working in the field of ophthalmology in the UK. Submissions and nominations are welcome from healthcare professionals, non-clinical staff, charities, patient associations, volunteers and patients. Pharmaceutical company entries will not be accepted. The deadline for applications is Friday 18 August 2017. Award winners will be announced at the Ophthalmology Honours ceremony, to which all short-listed entrants will be invited, on Wednesday 6 December 2017 at BMA House, London. 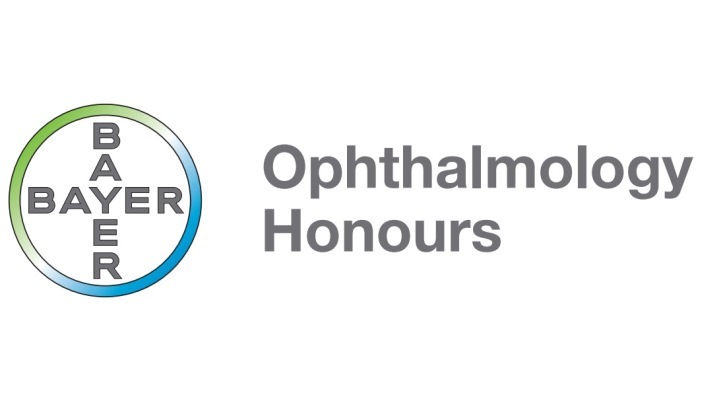 Find out more about the categories, judging process, judging panel and entry process at www.ophthalmologyhonours.bayer.co.uk.